In 1992 a location was selected along the scenic Toccoa River in the north Georgia mountains with a dining experience of really great food in a beautiful place. Maybe even some live bluegrass music on weekends in a rustic, peaceful setting. Soon the dream became a reality and Toccoa Riverside Restaurant opened to great fanfare by locals and visitors alike. Over almost 20 years we have hosted thousands of folks who came for the great food, peaceful riverside setting and just plain family fun. In fact, Toccoa Riverside Restaurant became a legendary ‘must do’ on many visitors’ vacation activities lists. On February 13, 2012, a tragic night time fire swept through the restaurant, burning it to the ground. Thankfully nobody was hurt, but we had to start over. 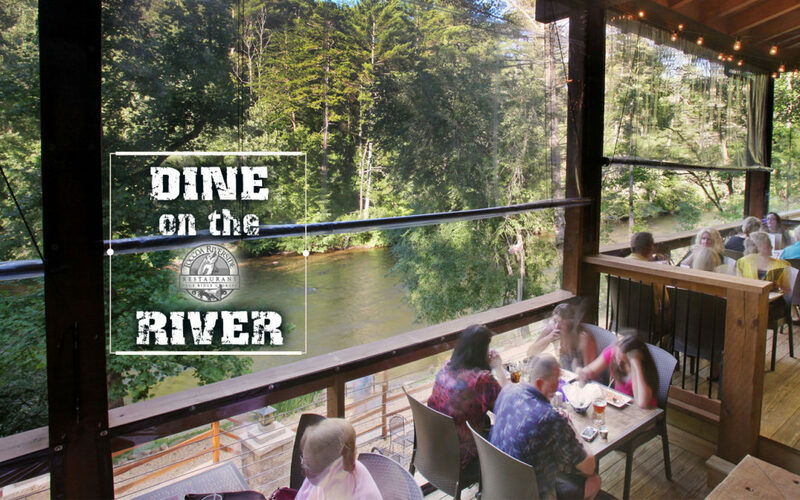 With a vision to make the Toccoa Riverside Restaurant even better than ever, on February 8, 2013 the doors opened to an all new dining experience along the banks of the Toccoa River! Stop by and see us. We think you’ll be glad you did.